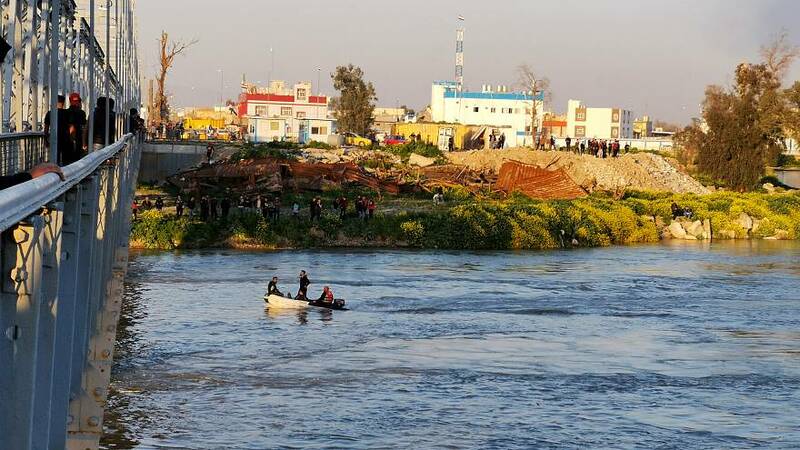 At least 79 people died after an overloaded ferry sank in the Tigris river near Mosul in Iraq on Thursday, according to medical sources speaking to Reuters. The head of Mosul’s Civil Defence Authority, Husam Khalil, told Reuters most of the victims were women and children who could not swim. Kahil said the ferry can normally carry 50 people but "there were 250 on board before the incident”. The vessel was believed to be carrying passengers who were celebrating the holiday of Nowruz, which marks the arrival of spring and the Kurdish and Persian New Year. Security sources said five ferry workers were arrested and rescue workers were still looking for missing passengers. Footage shared on social media showed people shouting for help as others gathered near the river bank. Iraq's Prime Minister Adel Abdul Mahdi has ordered an inquiry into the accident.